First, I want to thank everyone for the kind words and warm wishes on our wedding anniversary; we sincerely appreciate it all. Stay blessed! 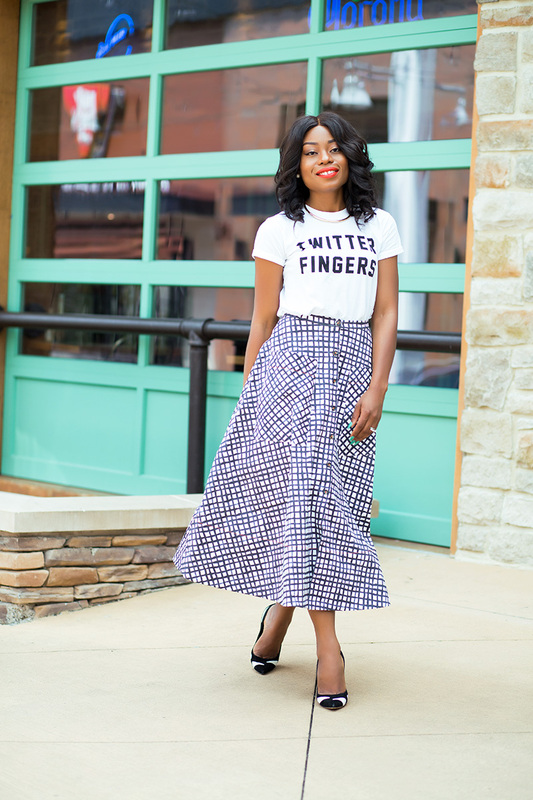 Today’s feature is my latest skirt obsession. I have been eyeing this 'Saloni pocket skirt' for months and when it went on sale, I could not wait. The big front pocket, the cut and print makes it one of those pieces that can be restyled in so many ways. 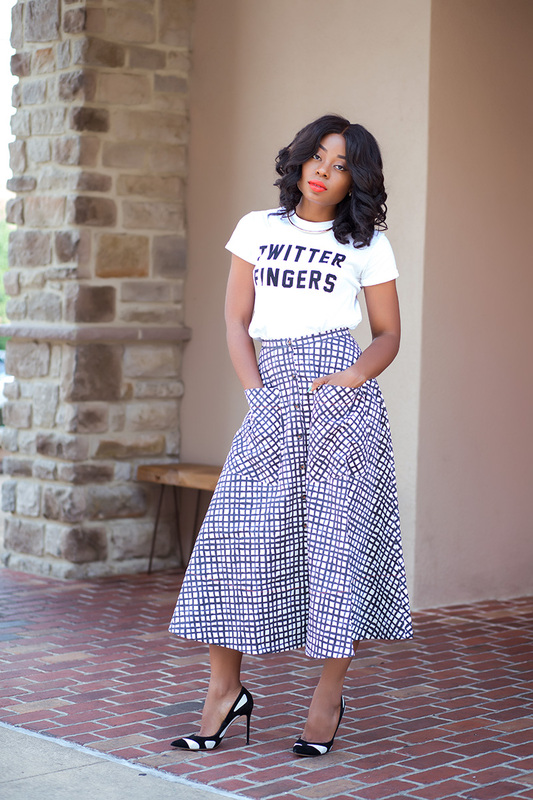 For today's post, I went for a semi-casual look by pairing it with a graphic tee. I love graphic tees as they add fun to all looks. 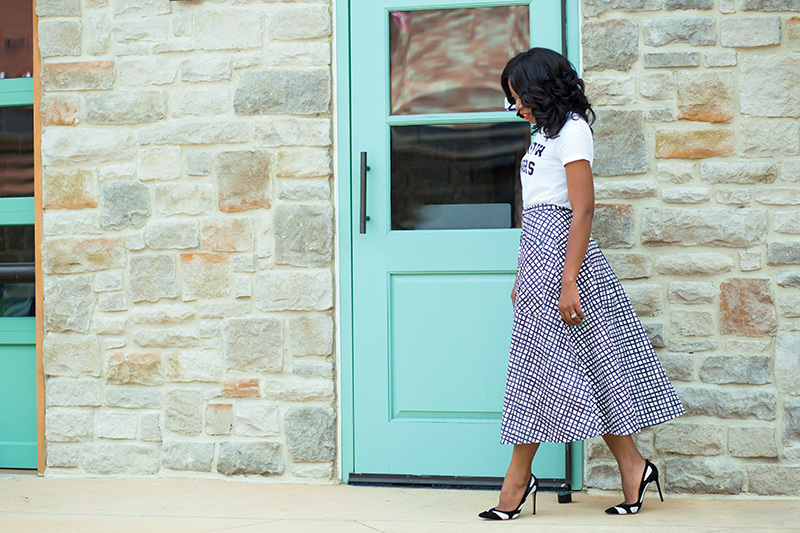 I completed this look with my favorite black and white pumps. Dear Stella. I really loved your skirt. Do you have any other color option? By the way nice lip color.